← Don’t Share Your Cavities! Do you think baby teeth are temporary, and therefore not important? Think again. Baby teeth are necessary for chewing, speaking, and smiling. They also serve as placeholders for the adult teeth. If baby teeth are infected or lost too early due to tooth decay, your child may develop poor eating habits, speech problems, crooked teeth, and damaged adult teeth. In addition, the chances that adult teeth will end up being crooked are greatly increased. Wipe the baby’s gums with a clean gauze pad or washcloth after each feeding. Do not allow the child to take a liquid-filled bottle to bed. If the child insists, fill the bottle with water as opposed to milk or any other sugary alternative. Brush your child’s teeth until he or she reaches the age of seven. 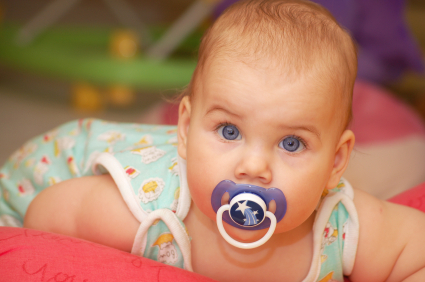 Before this time, children are often unable to reach certain places in the mouth. Take the bottle/breast away when the child has had enough. Do not put a baby or infant to bed with a bottle or allow him/her to suckle on the breast for prolonged periods during sleep. Introduce the baby to a feeding cup between 6 and 8 months of age. Avoid dipping soothers in honey, sugar or other foods or liquids. All sugars (including natural sugars) that are not easily cleared from the mouth, can lead to tooth decay. If your child needs medicine, ask your doctor or pharmacist to prescribe a sugar-free form. This entry was posted in Cavity Fighting Strategies, Oral Hygiene, Prevention and tagged baby teeth, cavities, preventing tooth loss in babies. Bookmark the permalink.